Are you bored with your old ring or just want to jazz up your solitaire pendant, well then you have come to the right place as this has been and is one of our specialities. 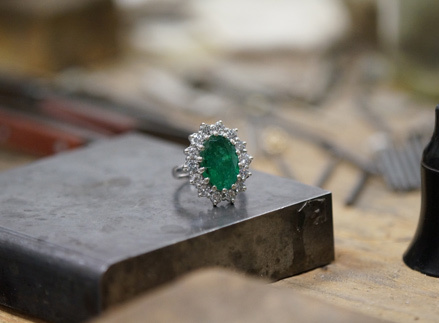 We just love taking a sad old ring and making it look stunning again. Get your favourite jewellery remodelled at an affordable price. We try to keep within your budget so you tell us what you want to spend and if it is impossible we will tell you! We can also melt all your old broken earrings and chains into a solid bangle or into one of our own designs that we have made a pattern for so don’t scrap it – remake it! Bring your old jewellery back to life and add some extras to it such as different types of metals, gemstones and diamonds. 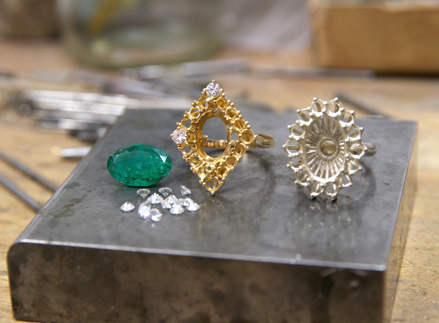 Make your old pieces timeless with our professional jewellery remodelling services in Dublin. It is always a joyful process for us being involved with remodelling projects. Seeing the smile on a person’s face when their old memories are brought from the past to the present is what makes it all worthwhile. Get in touch with Carol today!